Easy to use, with 23 stitch features, variable needle positions and1-step buttonhole, the SINGER 3323S Talent sewing machine has all the features you need to make clothing construction not just possible but fun and easy. 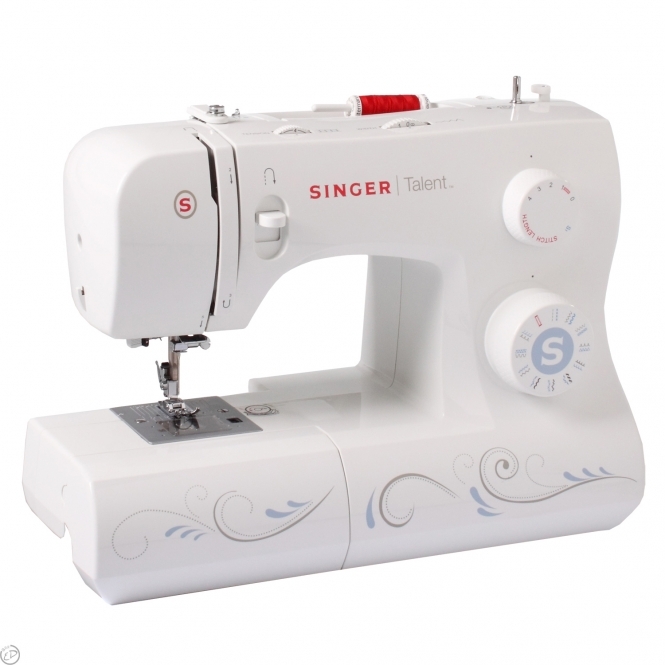 If you love experimenting with different fashion styles, the Singer Talent sewing machine is definitely for you! Going by the sales figures, Singer has really stepped up in the competition with this model. 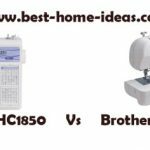 Fully Mechanical Model: This sewing machine is a fully mechanical model. It does not have a touch pad or an LCD screen or any fancy digital buttons. When you want to switch from one stitch to another, you have to do this by turning a mechanical knob. This actually has a lot of advantages. There are no complex functionalities to try and figure out; no LCDs that will go blank at the most inopportune moment and no chips that will burn out in the middle of your project. The Singer Talent is a solid, rugged machine that will help you step out in the latest style every day for several years. 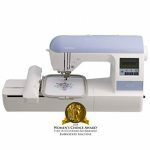 Easy Set up Features: Top drop-in bobbin, easy threading and automatic needle threader make for simple, frustration-free set up so you are ready to start sewing in minutes. A clear bobbin cover makes it easy for you to see whether or not you have enough thread for your project. 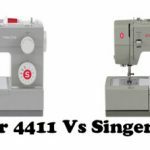 Versatile Stitch Functions: The Singer 3323S may not have hundreds of built in stitches like the more advanced models but the 23 stitches that it does offer are well thought of and are sufficient for most garment sewing tasks. Some of the stitches include the zigzag stitch, blind hem, stretch stitch, rick-rack, edge overcastting stitch, smocking and feather stitch amongst others. Additionally, you can adjust the lengths and widths of the stitches for different purposes or different effects. Variable needle positions add even more versatility to these basic stitches. Singer sure thought of it all. One-Step Buttonhole: This is unlike other mechanical machines that have 4-step buttonhole functions. The one-step buttonhole takes away the additional chore of marking out your buttonholes and is easier and more convenient for beginner sewers. An open ended foot that holds the button in place acts as a marker to indicate to the machine where to start and end the bar tacks so the buttonholes are always the correct sixe for the button you are using for that particular outfit. 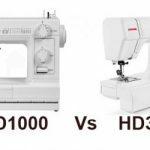 Singer is quite generous with their accessories, whether it is a basic sewing machine or a more advanced model. The Singer 3323S comes with 8 presser foot, which is fantastic! In addition to the standard straight foot and zipper foot, you will also get a buttonhole and button sewing foot, zipper foot, quilting guide, gathering foot which is handy for making ruffled sleeves or gathered waists and an edge cutter, which does easy work of trimming seams and overcastting so all your clothes have a professional finish. 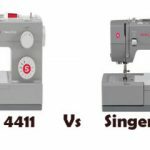 The SINGER 3323S Talent sewing machine is a sturdy, simple to use machine with some pretty cool stitch features and accessories that make it easy to sew different types of garments. It is easy to switch from one fabric to another or from one color thread to another. None really, unless you are looking for a more advanced machine, which this anyway does not claim to be. The SINGER 3323S Talent sewing machine is great value for anyone looking for a machine to handle all kinds of clothes and for basic home décor projects.